Fortune Charm is a firecracker of a slot with 243 ways to win, medium-high variance and 96.15% RTP. 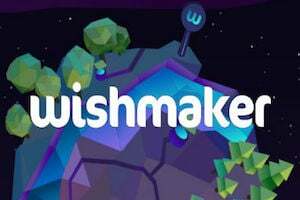 It comes with Charm Boxes that land and transform into matching symbols, as well as wilds, multipliers and a bonus round with up to 50 free spins! Where Can I Play Fortune Charm Slot? It’s been an exciting year for Red Tiger Gaming as they ventured into the brave new world (for them) of high variance games with titles like Laser Fruit and Totem Lightening Power Reels. With their latest game release however they are going back to their roots. Many of their early games had an Oriental theme, and Fortune Charm is in that mould, with classic Chinese imagery and lucky charm boxes that transform into matching symbols to create more winlines. It’s a pretty simple game but like all Red Tiger titles it features stunning top quality graphics and some really nice 3D animations. 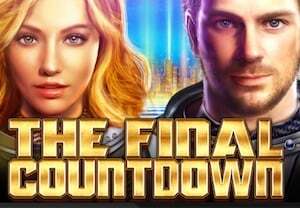 It also has a relatively high variance and can pack a serious punch in the bonus round where players can achieve up to 50 free spins, boosted by further Charm boxes that stick throughout. Fortune Charm slot has a classic 5×3 reel set with 243 ways to win – that means it pays out for 3 or more identical symbols that appear on adjacent reels from left to right. 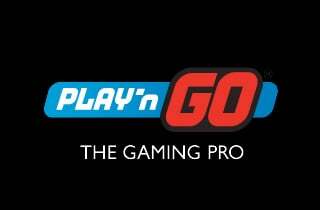 You can play from 20p up to £40 per spins in both real and free play modes. The Chinese theme is carried throughout this game, from the red, gold and black colorings and fonts to the symbols themselves. The lower value ones are the classic cards, 10 through to Ace, whilst the premium symbols are the necklane pendants, goldfish and lucky dragons. The latter is the highest of the lot paying out 10x for five in a payline. 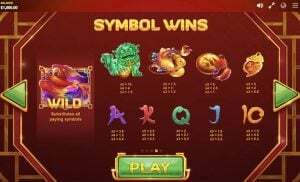 There is also a Wild symbol which substitutes for all others, and a scatter which is needed to trigger the free spins round. The Charm Boxes can land anywhere on any reel in the base game and free spins round. They look pretty cool and spin around in 3D. When they land the spinning symbols inside eventually stop and each box will contain the same one. This creates the opportunity for higher payouts as you have more matching symbols on the reels. Charm Boxes also come with multipliers of up to 5x. 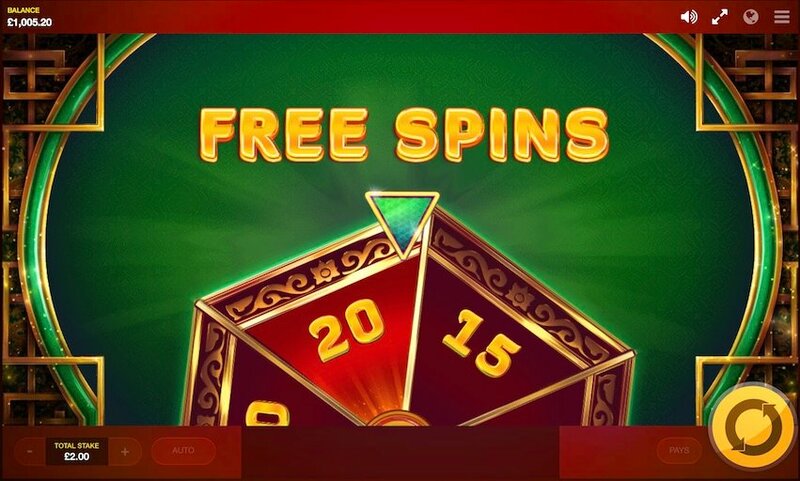 The Free Spins feature is triggered by landing three or more pearl scatters anywhere on the reels at the same time. When this happens the tension is pushed up a notch as you spin a wheel to seem how many free plays you get – anywhere from 5 up to 50! The great part about the free spins round is that it comes with Charm Boxes too – except these ones stay throughout the round. So, if you have 50 free spins and land three Charm Boxes on the first spin you will run another 49 with your boxes moving around the reels and revealing three identical symbols each time. You may even land further Charm Boxes. This is where you can rack up some nice wins, particularly if you have multipliers with them! We really enjoyed this Red Tiger Gaming slot. It’s got some decent potential in the bonus round, particularly if you land a high number of spins. We hit 20 free spins and had three Charm Boxes running for most of the round. Just be careful – the variance here is quite high so beware of churning through your cash too quickly if you set your stake high. Overall, this is definitely worth a go – top graphics, simple and engaging gameplay.